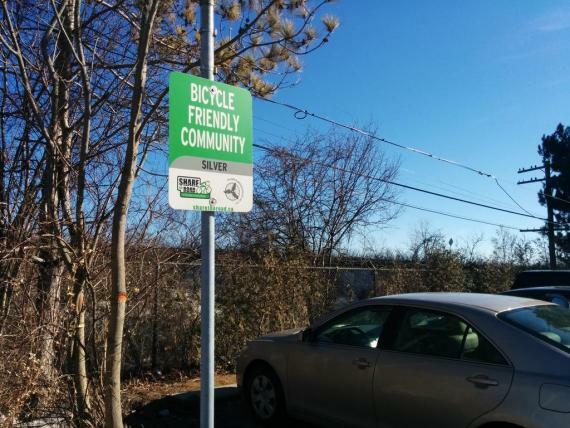 Read more about Does Toronto deserve its silver ranking as a Bicycle Friendly Community? Who or What is "The Average Cyclist" and why are we designing only for them? "Who is the intended design user of our cycling infrastructure?" Well, that got me thinking, who (or what) is the "average" cyclist? Read more about Who or What is "The Average Cyclist" and why are we designing only for them? The City had planned the Florence/Argyle and Lindsey/Dewson contraflow plans as a "quick win" back in 2008 as part of a west end bikeways plan. That was before everything got shelved due to (self-imposed) "contraflow legal purgatory". The province of Ontario has finally acknowledged that we could use some cycling love. However, the current proposal put forth by the Minister of Transportation is slim and vague. The second open house for the Wellesley-Hoskin cycle tracks (aka separated bike lanes) is next Tuesday, September 11 from 4:30 pm to 7:30 pm at Seeley Hall - Trinity College, 6 Hoskin Avenue (on the U of T campus, north side of the street). There will be a public meeting this Tuesday to steer the future of Ontario Place. Ontario Place is right on Lake Ontario and includes a part of the most travelled bike trail in Toronto, the Martin Goodman Trail. There has been an ongoing issue with Ontario Place using unsafe "P gates" to restrict the flow of cyclists crossing intersections. 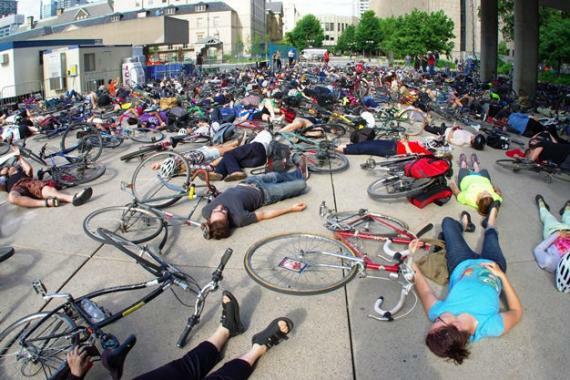 Ron Buliung, a professor of transportation geography at the University of Toronto, elaborated on his interview for a Public Radio International's The World in an article War on the Streets of Toronto: Motorists vs. Cyclists. and the representation of the cycling in Toronto (thanks to TCAT for posting! ).